A widespread power outage did not stop 400-plus people from attending North Tahoe Business Association’s annual fundraiser, “Passport to Dining,” on Nov. 9. 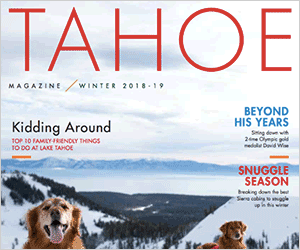 On behalf of NTBA, I am deeply grateful to all event attendees, to 30 restaurants, breweries, and wineries that provided delicious tastings, to many volunteers, including NTBA board members, to our IT crew, Katie Korpi and Ashley White (NTBA staff members), and the Tahoe Biltmore staff. You all contributed to making this event truly remarkable, memorable, and highly successful against inconceivable odds. No power — no problem! This year is the most successful Passport to Dining on record! NTBA sincerely thanks everyone for standing beside us when the power went out, not giving up, and for supporting our auction and raffle. Only in Tahoe could something like this happen — our community is resilient and generous beyond belief. And, congratulations to Brewforia, winner of the coveted “People’s Choice” award!